Since the diamond is the birthstone for the month, I found some items that were encrusted in diamonds. Wouldn’t it be nice to have your iPhone encrusted with them? Not sure if I would feel comfortable carrying around a cell phone that is worth more than my car! 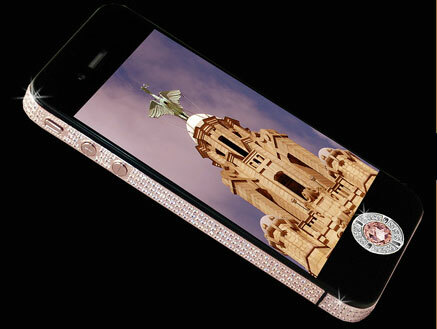 But apparently a Russian business man got one made… He commissioned the Austrian designer/jeweler Peter Aloisson, to cover an Apple iPhone in diamonds! The modified phone cost £120,000 pounds and is made of 18 carat White Gold that was encrusted with a total of 318 diamonds… 138 of those diamonds were princess cut. 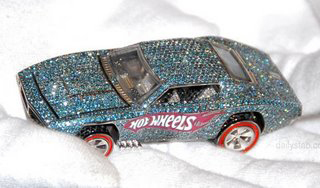 … and I thought I’ve seen it all, until I came across these Diamond and Crystal tires! 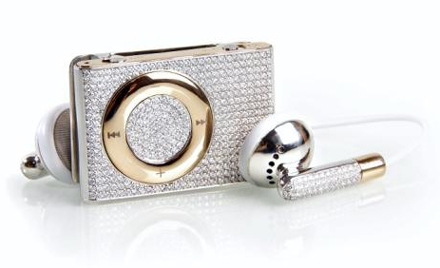 Cooper commissioned London jeweler JK Diamonds to customize them, which are blinged out with Diamonds and Swarovski crystals. 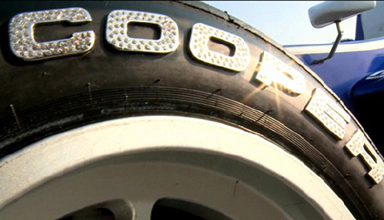 Each of the four Cooper logos were set with the gems and mounted to the tire with a super strong adhesive. This entry was posted in Jewelry, Jewelry News, Jewelry Trends and tagged diamonds, iphone, ipod, jewelry warehouse. Bookmark the permalink.